MEDFORD — Ospreys Athletics is proud to announce the hire of Christine Nelson as head coach for the inaugural season of women’s volleyball at Rogue Community College. 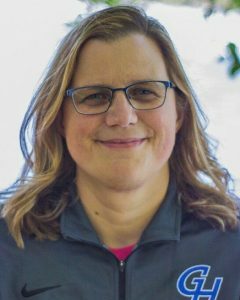 In her six-year tenure as head volleyball coach at Grays Harbor, Nelson was responsible for resurrecting the program after a seven-year hiatus. RCC Athletic Director Darren Van Lehn said he’s eager to draw on her experience building a volleyball program. Van Lehn also praised Nelson’s depth of experience both coaching and recruiting. She has coached for over 21 years at the club, high school and collegiate levels, and has already begun scouting unsigned athletes in the Rogue Valley. The Ospreys women’s volleyball program will begin its regular season Sept. 11. The team’s home court will be at The Court House, 709 N. Phoenix Road in Medford. 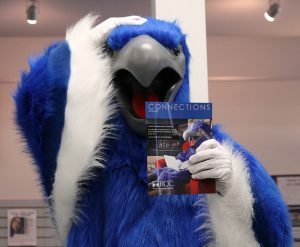 RCC launched Ospreys Athletics in 2015. Volleyball becomes the third sport in the department’s repertoire, which includes men’s and women’s soccer. The cross-country program was discontinued in 2018 due to low participation.